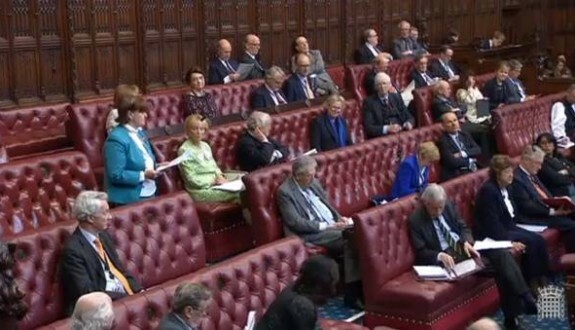 On the 28th May, the House of Lords opened for the ‘Debate on the Humble Address – foreign affairs, European affairs, international development and defence’. Baroness Cox used this opportunity to highlight to the House ongoing human rights abuse against ethnic minorities in Burma, particularly in the Shan and Kachin states and genocide in Sudan, focusing on the Blue Nile and Southern Kordofan. Baroness Cox (CB): My Lords, I welcome the Government’s commitment in the gracious Speech to play a leading role in global affairs, international security, and economic and humanitarian challenges. I will highlight two relevant areas of concern, namely Burma and Sudan, which are relatively off the radar screen. First, on Burma, I am happy to report some improvements in regions of Chin State, which I visited in February. Relations between the army, police and civilians have significantly improved, and human rights abuses, including forced labour, have ceased. There is also welcome investment by the Government in infrastructure. It is important to encourage reforms where they occur. However, the Government’s continuing assaults on the Rohingya people continue unabated, forcing thousands to flee their land, with many stranded at sea in terrible conditions. As this tragedy has received some media coverage, and as time is limited, I will focus on people whom we visited just last month, whose plight is desperate but not widely reported: the Shan and Kachin people. Military offensives by the Burmese army continue; in eastern Burma, large-scale military offences in the Kokang region of Shan and Kachin states have occurred almost daily. The Burmese army uses ceasefires to gain ground and enhance its military capability. Meanwhile, expropriation of land and natural resources with derisory or no compensation is associated with large-scale development projects including the building of mines, which displaces thousands of civilians, and dams, which flood thousands of homes. Land grabbing and forced relocations have uprooted people with minimal or no compensation. When we were there we were told how some development projects begin with photographs being taken of investors handing a cheque to local community leaders. Immediately after the photographs are taken, the cheque is taken back and the project gets under way with no compensation. We met civilians who had lost everything and were forced to live penniless in camps for internally displaced people in Shan and Kachin states. Investment projects are also coupled with an increased military presence and disregard for human rights. Mining projects have caused the environmental destruction of water supplies and crops and have inflicted many diseases, and pollution is damaging the ecosystem and environment. Meanwhile, civilians who have protested have been arrested and in some cases killed. With continued conflict and displacement for development, the shift by international organisations from cross-border aid to funding the Burmese Government and larger organisations based in Rangoon is deeply worrying, as there is a much greater risk of corruption and failure to ensure that essential supplies reach people in great need in the areas of continuing conflict. The reduction in cross-border aid has already resulted in drastic cuts in food rations, which are set to decrease even further. Repatriation proposals are also generating fear. Many refugees who return home find that landmines have been placed in their homes or that their homes have been destroyed and their land sold to business or used by the military. I therefore ask the Minister whether Her Majesty’s Government will encourage DfID and other aid organisations to maintain their previous levels of cross-border aid with partners, like those with whom we in our small NGO, HART, work. They are well-respected and entirely trustworthy, and they make sure that the aid reaches those who are still in need. I also ask the noble Baroness whether Her Majesty’s Government will press the Burmese Government to proceed with a comprehensive peace process rather than intermittent ceasefires, which are used to promote the Burmese army’s positions and then broken. Finally, on Burma, will Her Majesty’s Government encourage only those development projects which involve full consultation with local people and which are carried out with full compensation and respect for human rights? I turn briefly to the de facto genocide being perpetrated with impunity by the Government of Sudan. Around 3.1 million people in Sudan are internally displaced. In Darfur up to 143,000 have been displaced from their homes since January this year. Their tragedy is receiving some publicity, but attacks on people in Blue Nile and South Kordofan are largely unreported. Since 2011, the Government of Sudan have been attacking civilians in those two areas with aerial bombardment, ground attacks and artillery shelling. Human Rights Watch has also found evidence of the use of cluster bombs in civilian areas. When we visited Blue Nile State in January of this year we saw and felt the widespread fear and destruction caused by persistent aerial bombardment, which is aimed directly at civilians. Since 2012, on average three bombs a day have been dropped by the Government on civilian targets, directly hitting villages, markets, schools, fields, and places of worship. When we were there the planes had now started coming by night with searchlights, so they could continue to kill civilians by night as well as by day. April of this year saw 171% more attacks than in the previous month, including 55 verified incidents of the deliberate bombing or shelling of civilians. Most attacks are carried out by Antonovs but at least two were by jet fighters, which demonstrates the increasing sophistication of the Government’s attacks on their own people. There has also been a significant upsurge in such attacks in recent weeks. The deliberate targeting of civilian sites has caused a humanitarian catastrophe, with humanitarian access blocked by the Government in Khartoum. As of April 2015, an estimated 3.7 million people in Sudan faced acute food insecurity. Moreover, severe human rights violations, including torture, arbitrary detention, and attacks on peaceful protesters, opposition members, the media and civil society, continue elsewhere in Sudan. These genocidal attacks on civilians and gross violations of human rights are perpetrated by the Government with complete impunity. Recent elections, which returned President al-Bashir to power, have been condemned nationally and internationally. Areas under the control of the opposition were disenfranchised with no polling booths. Civilians in South Kordofan suffered 12 separate air bombardments during the three days of elections. Will Her Majesty’s Government urgently consider measures to end the impunity with which the Government in Khartoum continue their ruthless policies? Will they not allow the election result to confer any legitimacy on that Government? Finally, will they initiate policies to promote essential life-saving, cross-border aid to civilians currently dying from lack of food and medical supplies? It is the privilege of our small NGO, HART, to be with our partners in these forgotten conflicts, such as those in the Kachin and Shan states and in Sudan’s Nuba Mountains and Blue Nile. We return humbled and inspired by their courage, resilience and dignity. I conclude with one story to illustrate the courage of these people. I introduce a very brave young woman, Nagwa, our partner in Sudan’s Nuba Mountains. Education has to be provided outdoors, as schools are especially targeted, but every effort is made to teach the high-quality Kenyan curriculum and to arrange for pupils to take the official examinations. Therefore, when the time arrives for pupils to take their exams, they travel from all over the Nuba Mountains to gather in one place—outdoors, as any school building will be targeted by Khartoum’s bombers. Nagwa told us how she sent a message to each child asking him or her to bring a large stone. About 1,000 pupils arrived. When they had all gathered outdoors, Nagwa explained why she had asked them all to bring a stone. She said, “When you are doing your exams and you hear the Antonov bombers coming, you will each take your stone and calmly put it on top of your papers. You will then run, hide in the rocks or lie flat on the ground. Then, when the planes have gone, you will go back to your place and remove the stone. Your examination papers will not have been blown away by blast or wind”. Talk about “exam pressure”. These courageous people in Sudan and Burma have suffered far too much for far too long. I passionately hope that the Minister will be able to give a message today which will bring them help and hope, and measures to help promote the peace and justice that they truly deserve. Now, like every other noble Lord present in your Lordships’ House, I eagerly await the maiden speech of the noble Baroness, Lady Helic. The noble Baroness, Lady Cox, described conditions in Sudan and South Sudan and painted a clear picture of why international aid is necessary. But there are sometimes problems with delivery. She asked me specifically about cross-border aid into two areas, South Kordofan and Blue Nile. We are deeply concerned by the ongoing military activity in those areas and we have consistently called for humanitarian access. But I am afraid that we judge that the risks of providing cross-border support to be high due to the limited number of implementing partners and our inability to assess or monitor the programmes. However, we are keeping this policy under constant review and are working to develop an in-depth understanding of the humanitarian situation. I repeat my continuing admiration for the noble Baroness’s work in those areas and in Burma. The noble Baroness, Lady Cox, raised Burma. We continue to remain supportive of the peace process and welcome the progress made towards a nationwide ceasefire and political dialogue. We have no second thoughts about how difficult this will be and we are ready to assist where we can. It is a matter on which we are providing expertise to broker a deal between the various parties and we regularly discuss the peace process with the Government.